Manchester United injury update ahead of West Ham clash: Manchester Untied boss Louis van Gaal has confirmed that Michael Carrick is the only player out for the clash against West Ham. Manchester Untied boss Louis van Gaal has confirmed that Michael Carrick is the only player out for the clash against West Ham. Manchester United will face West Ham United at Upton Park on Sunday. The former West Ham midfielder suffered a calf injury in a training last week. The 33-year-old is out for a month, according to to the manager. The Dutch boss will have a variety of players to pick for the lineup against the Hammers. Van Gaal has suffered a lot with the injury problems in the first half of the season but is now back with almost a full squad. 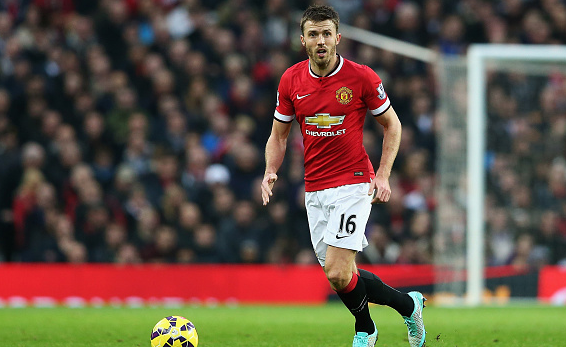 Carrick’s presence will be missed as he has been a star performer for the Red Devils. Meanwhile, Van Gaal has a fully fit defensive line, centre-back Jonny Evans has also returned to full fitness and could start the game. Phil Jones and Marcos Rojo are already back and this would be the first time this season that Untied have a fully fit defence. The Red Devils are on the third place in the Premier League table, five points behind the second spot side Manchester City but have only a point difference with Southampton and Arsenal who are sitting at fourth and fifth spots, respectively.